Wilfred Lawson Appleby was born in England to Edward and Jane Ann Appleby. He was 20 years old and lived in Keiraville when he enlisted. His service records state that he had previous military training to enlisting, including: 1 year with the Senior Cadets on the South Coast of NSW, and with the 37th Infantry ‘F. Company,’ Unanderra. He worked as a bricklayer prior to the war. 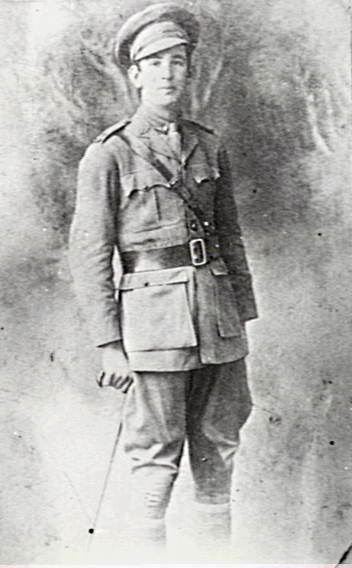 During his service, he was promoted from Sergeant to Lieutenant; it was announced in the Illawarra Mercury on 3 December 1915 that Wilfred ‘who held the position of lieutenant in the Citizens’ Forces, which he resigned in order to enlist as a private in the Expeditionary Forces, has been promoted in the trenches to the positions of lieutenant.’ He was later promoted to Captain. He was wounded multiple times. On May 15, 1916 he was admitted to the 24th General Hospital after suffering from a gunshot wound to the shoulder. Wilfred was killed in action on 20 September, 1917 in Belgium. According to the Australian War Memorial, his grave is located at Perth Cemetery (China Wall), Belgium. NB. Wilfred Appleby is often listed as Wilfred Appelby. AWM, First World War Embarkation Rolls – Wilfred Lawson Appleby, Australian War Memorial Canberra, 2014, http://www.awm.gov.au/research/people/roll_of_honour/person/R1728581, viewed 20 November 2013. ‘Keiraville’, Illawarra Mercury, 03 December 1915, p. 2.